Changing jobs can be daunting for anyone. You generally spend more time at work than you do anywhere else while you’re awake, so your job is a massive part of your life and significant changes to that can have a huge impact on all other aspects of your life. There’s a lot of risk that comes with quitting. It’s a gamble. Your current income is generally fairly stable, and if your new job doesn’t work out, you’ll find yourself with no income at all. You lose all your accumulated leave hours. If you get sick or have family emergencies early in your new role, you’re probably not going to get paid for any time you need to take off. Your new job could be worse than your current job. You may potentially offend your work colleagues and managers who could try to damage your reputation. Two years ago, that’s where I was. I had been working at that agency for over a year and a half, it was my first job and I had learned a lot from it. However I was not enjoying my job, but I was scared of what would happen if I left. I wasn’t happy with the quality of work the agency was producing, and I felt like that was hindering my own skills and I wouldn’t be good enough to work for a better company. I also felt that I owed the company loyalty as they had given me a foot in the door when I was struggling to find work. But a role landed in my lap, and although that initial role didn’t last long, I’m now in a much better position than I ever could have been if I was still working at that first agency. I’m now earning more than double what I was earning 2 years ago. I was drastically underpaid at the time, and that first change of jobs brought me a 50% jump alone, and I know I would not be earning anything close to what I’m worth if I had stayed. I would never have been able to afford to move out of my parents house, which was massivele beneficial for my mental health, and I certainly wouldn’t have been able to afford to become a parent. While both those events took a decent chunk out of the hip pocket, I’m still fairly stable financially. Taking time off is now so much easier to manage. I wasn’t granted any paid leave at all under my contract which meant if I was sick, I wasn’t paid. I also tried to take a couple of days off not long before I quit and the process was made extremely difficult for me, even though they wouldn’t even be paying me while I wasn’t working. Every company I’ve worked for since has been much more accomodating with getting time off, and my leave is now paid for. I’m now a much better developer than I ever would be if I’d stayed. People grow best when they’re in a nurturing environment, and working for agencies with better processes and a higher standard of work has given me the foundation to improve myself. I’m respected more by the people I work with. In my first job I had no experience, so I didn’t have any authority with which to present my ideas. Now, companies hire me because I’m the best person they could find for the job, and I can freely raise issues. If I’d stayed, there would still be this prevailing attitude that I am less experienced, and thus less respected, than everyone else. I’m not saying that you should be reckless with your career. If you’re happy with where you’re working, as I am, then there’s no reason to leave, while if you are intending to move on, try to secure another role before you quit if circumstances allow for it. 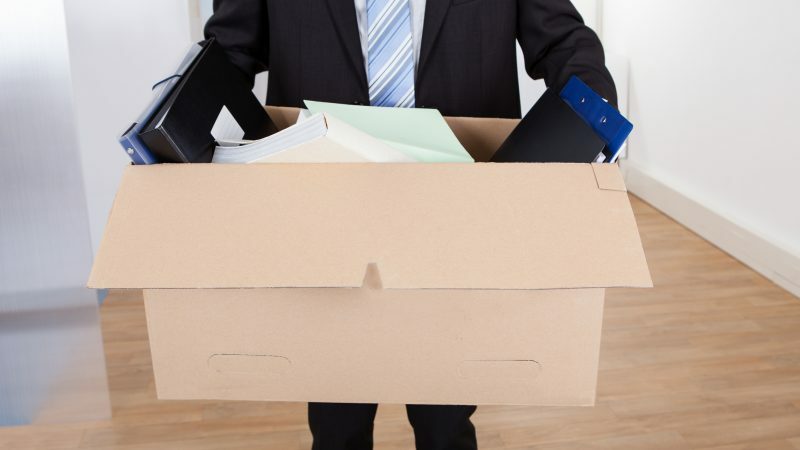 If you’re considering resigning but are hesitant because of fear, you shouldn’t be. When you stay in a difficult job instead of quitting, you abandon your chances of finding a new job far better than you could ever get where you are. In my experience, the chance of moving into a fantastic new role outweighs all the risks that come with quitting.